On Tuesday, TMZ circulated a video of Bobby Brown stumbling, huffing, and puffing his way through "If It Isn't Love," before eventually just walking off the stage promptly after "I really love her/Love her?/WHAT??". If you aren't familiar with this 80s classic, that isn't the end of the song. It was, however, the end for Bobby. Since I had tickets to the Thursday night show in Houston, all day Wednesday I had co-workers telling me to make sure I brought a camera just in case Bobby had some crazy antics on stage… or, you know, just keeled over. 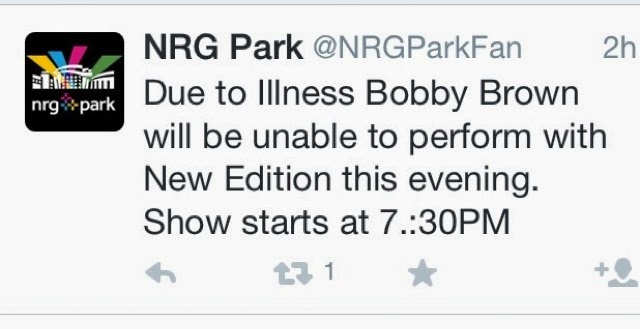 So imagine my non-surprise when I found out yesterday that Bobby Brown quit the tour. 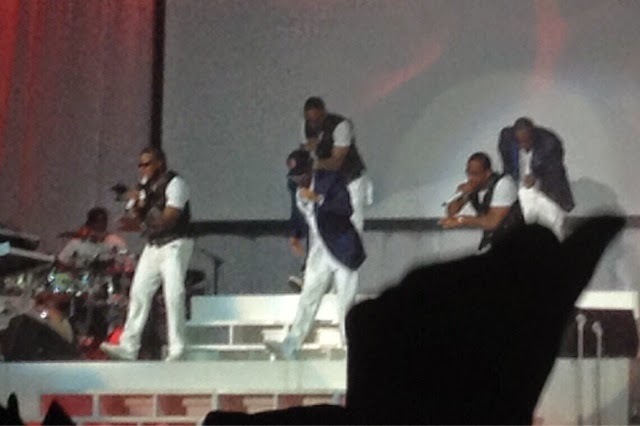 Here's the thing, though: just like when they booted him out of the group in 1985, New Edition doesn't need Bobby Brown. Sure, I was disappointed Bobby wasn't there, but why was that? It wasn't that I missed his singing. He was never the best voice in the group; that honor went to Ralph Tresvant and was tied with Johnny Gill after Bobby left the group. It isn't that he's the best or most entertaining dancer. There may have been a time that was (partly) true, but it hasn't been true for decades now. Bobby is the youngest member of the group (though not by much), but looks and moves like the oldest. 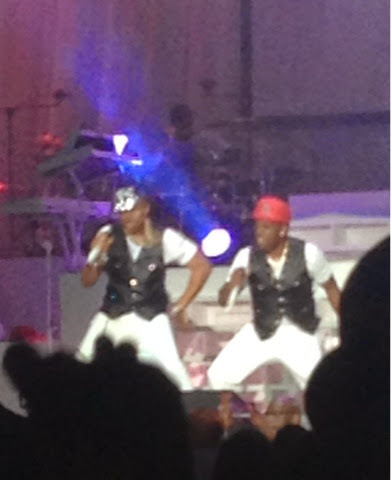 The honor of most entertaining dancers goes to BBD (Ricky Bell, Michael Bivins, and Ronnie DeVoe). Hell, BBD has been making appearances everywhere this summer, and it is almost like it is the summer of 1990 again, with "Poison" being on everyone's playlist. It was featured in Think Like a Man, Too, complete with its own new video. 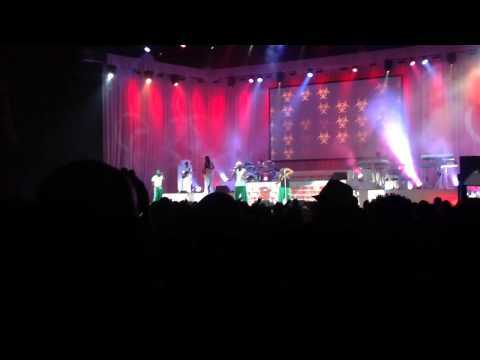 They performed it at Kandi Burruss's wedding reception, which aired on Bravo last week. In fact, everyone there was waiting to hear "Poison," which is probably why it is performed very near the end of the set list. 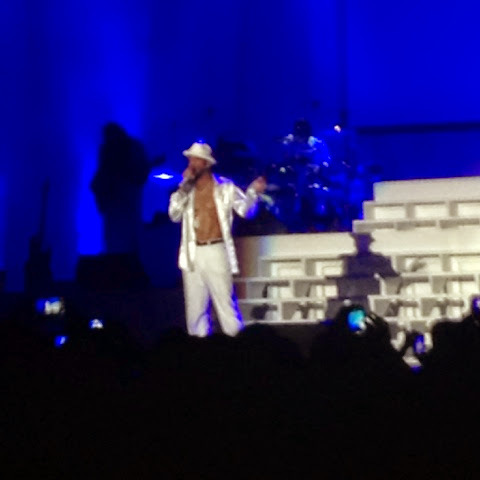 Really, the only reason I wanted to see Bobby Brown was for the sheer spectacle of it. Just like when he and Whitney Houston had their reality show, Being Bobby Brown, Bobby B. remains a fascinating trainwreck. And, to be honest, I didn't miss it all that much. 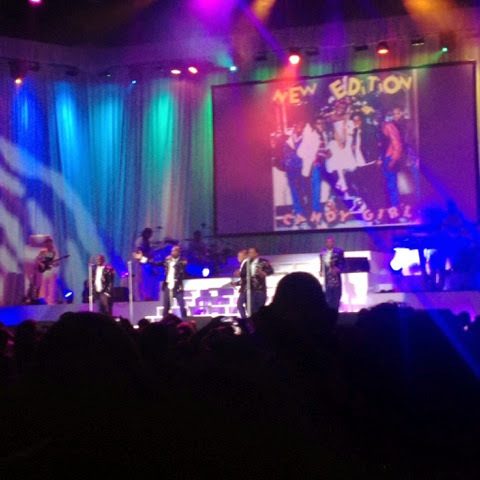 New Edition sans Bobby performed Bobby's biggest hit, "My Prerogative", and dammit if they didn't do it better. 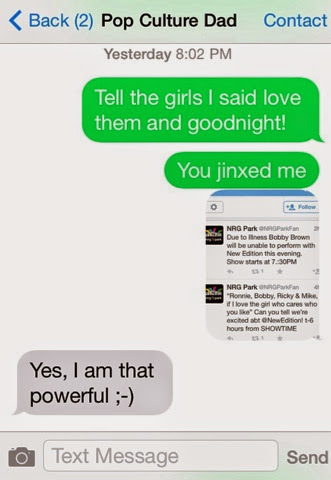 In fact, "Prerogative" was the only time during the concert that they mentioned Bobby's name at all. He Who Shall Not Be Named is the new Voldemort, and it appears his former coworkers weren't missing him one bit. 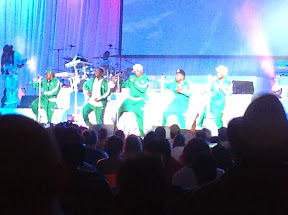 Bobby Brown missing the Houston concert for mystery "illness" [drug addiction is an illness... but being old and out of shape because of long-term drug and alcohol addiction is not] just emphasized how extraneous he was to the group. Once the concert was under way, nobody missed that fool at all. I wish Bobby Brown luck in his recovery from whatever he is recovering, but I'm not shedding any tears or demanding any partial refunds because of his absence. I'm sure DFW didn't miss him one but last night either. Here are some fun photos from the concert. If you want to see more video clips, head on over to The Pop Culture Mom YouTube channel. Hmm... There seems to be a spacing problem. Were y'all expecting someone else? Ralph T. still won't wear a shirt. Still doesn't need one.